Every week seems to bring news of yet another record broken for the numbers of tourists coming to Japan. And it’s easy to see why when we have videos like this. The Akita-based video production company Armadas partnered with Nakanihon Air Service to produce this incredible 8K-resolution video showcasing scenery in Japan. 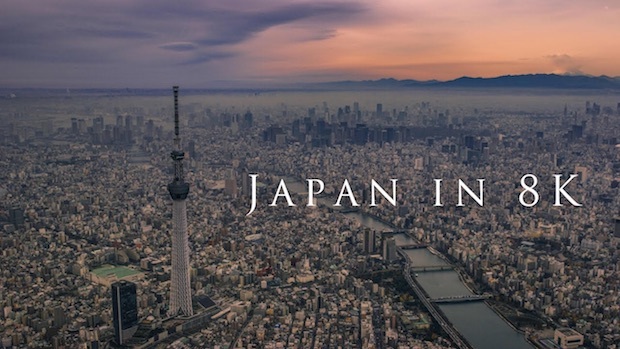 The video, aptly called Japan in 8K, was shot between 2017 and 2018, and released last week on YouTube. From mountains and cherry blossoms, monkeys, festivals, fireworks, and food, the filming locations include Tokyo, Hokkaido, Hakodate, Toyokawa, Yakushima, and Shizuoka. The equipment used to shoot the video was RED Weapon 8K camera and DJI Ronin 2 stabilizer. While this video shows Japan on a grand scale, there are similarly impressive videos made using micro drones that capture life at a more everyday life.